"It's definitely been a pleasure working with Russell and Amanda! They were very helpful with selling my house. They were quick to respond with all the questions I had and always provided me with all information that I needed. I would highly recommend Team Olive to anyone! Thank you very much!" "I would highly recommend having Team Olive as your realtors! They did a wonderful job at helping me find my first home in a short amount of time and made sure I understood everything. So sweet and easy to talk to which really makes the process a lot easier!" "About a year ago it became obvious that my 73 year old mom needed to move from Alabama to Indiana so she could be close to us. I called this group and thankfully fate had Amanda and Russell Olive answer that call. I thought it would be simple. List the house, sell the house, and get her moved. Yeah... it turned out to be quite a bit more work than that. Amanda and Russell were amazing through it all. They were there to give her advice, to help her when things got complicated and they were her advocates when she needed them. I can't even tell you how grateful I am for them and everything they did for my mom. Today my mom just closed on a house in Indiana and for the first time in almost 20 years we live in the same state. Thank you!!!" "I can’t tell you how pleased I am with Team Olive. They listened to my needs, desires, what I wanted and didn’t want, and helped me find the perfect home for me and my family! I will recommend Russell and Amanda to all my friends who are looking for their perfect home!! 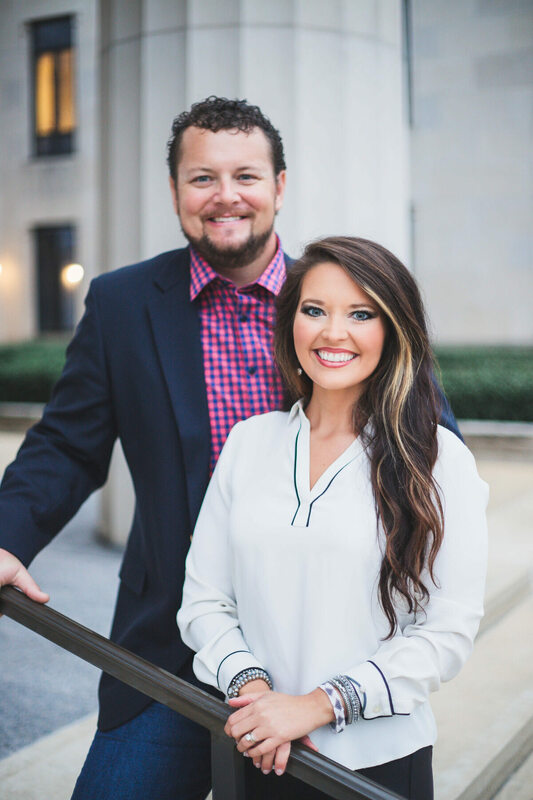 We love these two and could not have made this big change without their help!" "Very knowledgeable and helpful with helping us sell and buy a house. Always worked around our schedules and went above & beyond to help us out and keep us updated on everything. Overall great experience!" "Russell and Amanda were amazing! They helped us buy our first home and answered all our newbie questions with ease and excitement. They helped us get through the process and made everything go smoothly. We loved them!" "Amanda is one of the sweetest people you will meet! She and her husband Russ Olive have helped us through several real estate transactions and if we ever need to buy or sell anymore homes we will not hesitate to use Team Olive! I have recommended them to many of my friends and family and they have yet to disappoint. I love how they are there from the beginning of the sale all the way to closing. Amanda even shows up with a little gift at closing to show their thanks for your business. Team Olive is the way to go when selling or buying a home!"